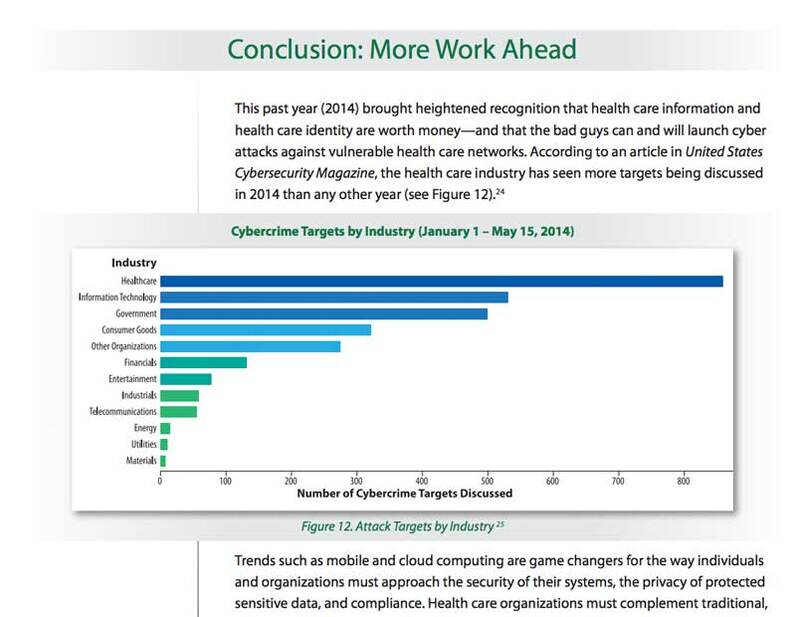 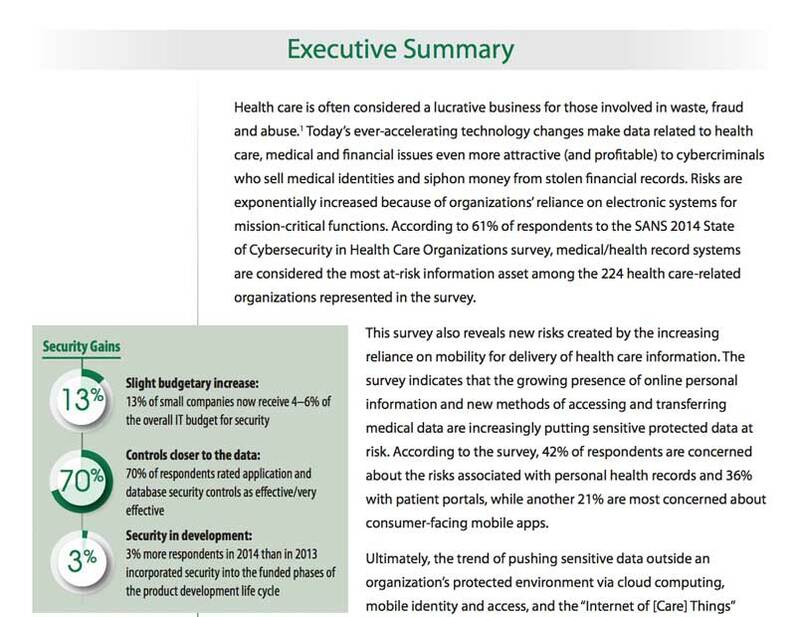 SANS - New Threats Drive Improved Practices: State of Cybersecurity in Health Care Organizations Whitepaper | Qualys, Inc.
Health care organizations face a variety of security challenges—from the growing presence of online personal data to new methods of accessing and transferring medical information. 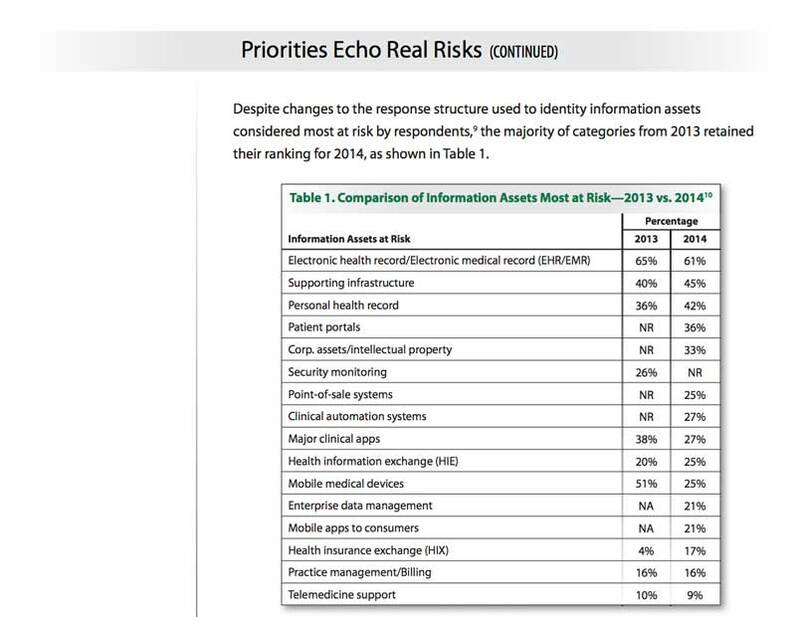 Protecting sensitive data requires more vigilance than ever. 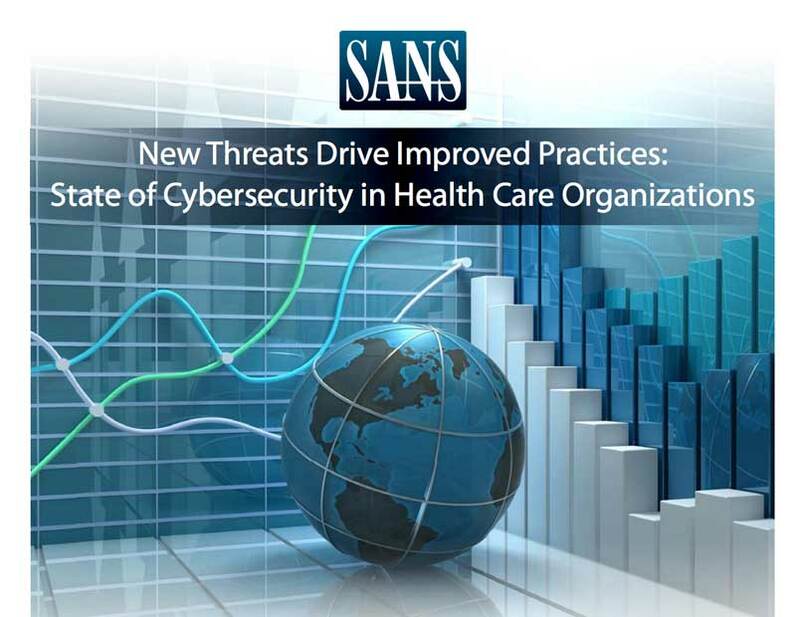 Learn how your IT security peers are responding to threats from mobile and cloud technologies to address these open systems in this latest SANS survey: New Threats Drive Improved Practices: State of Cybersecurity in Health Care Organizations. 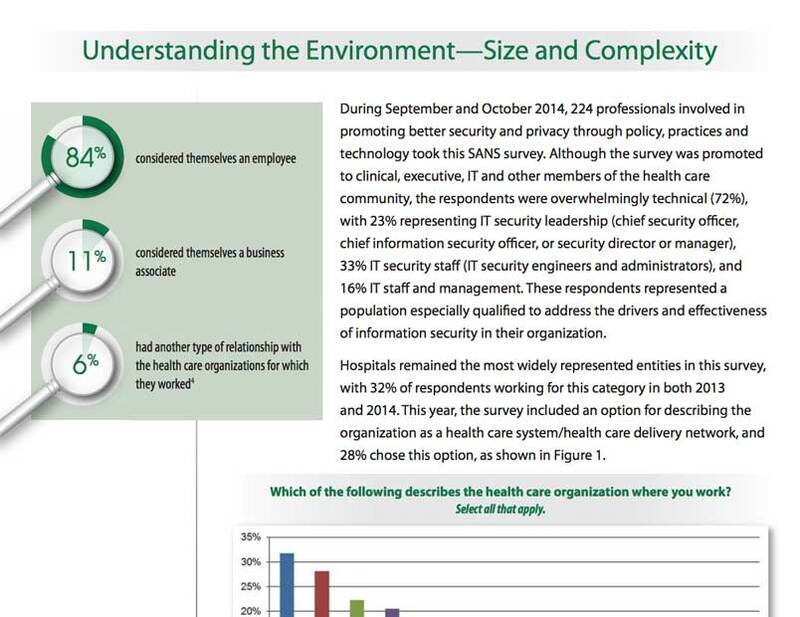 Inside you’ll see all the results—revealing better awareness of risks with improved commitment of resources and support.